In the UK badgers are primarily afforded protection under the Protection of Badgers Act 1992. They also receive limited protection under Schedule 6 of the Wildlife & Countryside Act 1981 (as amended). This outlaws certain methods of taking or killing animals. It is illegal to wilfully kill, injure, take, possess or cruelly ill-treat a badger, or to attempt to do so and to intentionally or recklessly interfere with a sett. A sett is defined as "any structure or place or place which displays signs indicating current use by a badger." Sett interference includes disturbing badgers whilst they are occupying a sett, as well as damaging or destroying a sett or obstructing access to it. 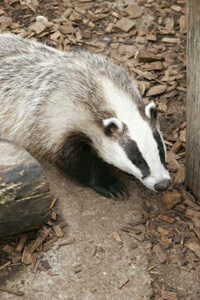 » Assess the presence of badgers within the site and its local environs. » Identify if the site is used by badgers and if so determine setts location, classification (active/disused) and status (main, annex, subsidiary). Also badger activity level, i.e. the intensity (spatially and temporally) and type (foraging, commuting, etc). Our ecology surveys, ecological surveys and ecological surveyor (ecology surveyor) practice throughout London and the South UK including places like Hampshire, East Sussex, West Sussex, Surrey, Berkshire, Kent, Essex, Hertfordshire, Bucks, Ilse of Wight and Woking, M3 Corridor, Hythe, Bexhill, Maidstone, Guildford, Seaford, Wokingham, Oxted, Portslade and more! 23/04/19.